This is a format that I find intriguing and seem to have now in several iterations, beloved because it combines two patterns - the pieced blocks on point framed with a zigzag type sashing. The colors and condition of this example are brilliant and intense. 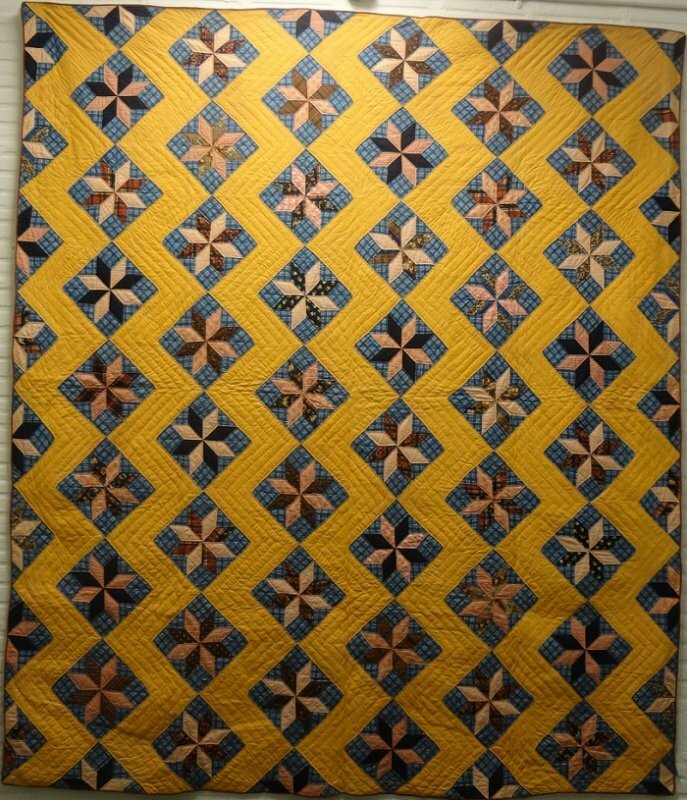 The quilt is in untouched mint condition, remarkable for its age. Usable vertical or horizontal or else display boldly on the wall.